An instant fold-out pathway, ideal for placing between rows of vegetables, fruit, herbs or flowers. 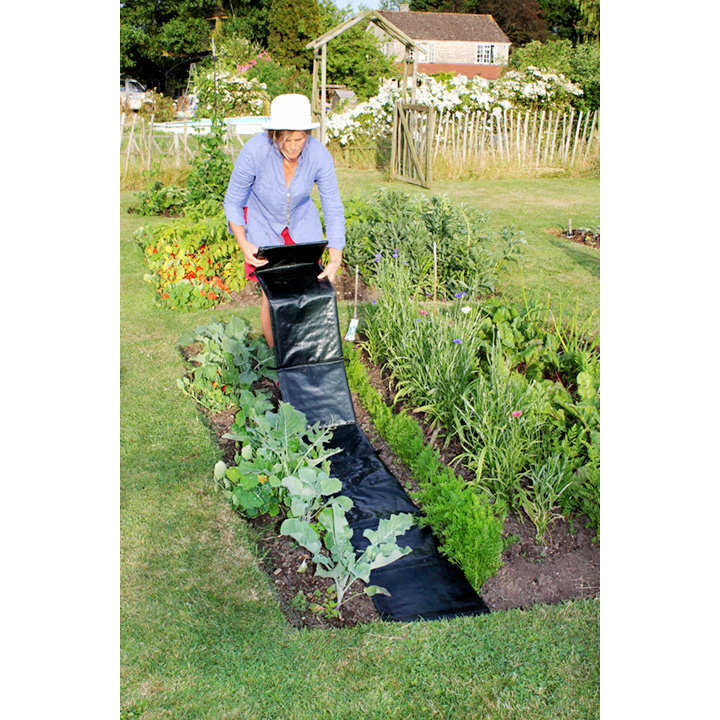 Tough outer weed barrier stops weeds from growing between rows of plants and the strong internal grid provides support for wheelbarrows and wellington boots. Also protects wet lawns from wheelbarrows and foot traffic. 3m (10') length x 30cm (12") width.